from the Hebrew, meaning a dream, revelation, or vision. You were born with your own Chazown. Do you know what it is? You’re invited on a most unusual odyssey—to find, name, and live out your Chazown. It’s a journey you’ll never forget because it’s impossible to return unchanged. Practical, surprising, visually fresh, and biblically sound, the Chazown experience helps you clearly understand what you’ve always suspected: You’re not an accident. You have been created and put on earth for a unique and important purpose…a Chazown . And God intends for you to live it with passion and fulfillment for His glory. But where to start your search? 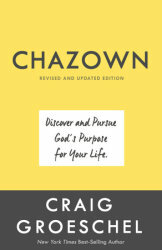 As Craig Groeschel will show, your own Chazown is hiding just under the surface of your life in three often overlooked areas: your core values, your spiritual gifts, and your past experiences. 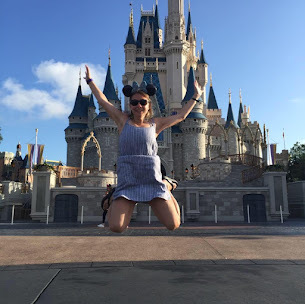 Once you discover your personal Chazown , you’ll turn it into a highly motivating credo—complete with short-term goals, action steps, and an accountability network to make your big dream a reality. Pursue your Chazown and simultaneously improve five critical aspects of your life. These “small ‘c’ chazowns ” are your relationship with God, your relationships with people, your finances, your health and fitness, and your work life. Are you living someone else’s dream for your life, or no dream at all? Craig Groeschel started LifeChurch.tv, now attended by more than twelve thousand people each weekend on five different campuses, in the Oklahoma City, Oklahoma, area in 1996. From that point on, he has been empowered by the knowledge that he is following God’s chazown (vision) for his life. Craig’s cutting-edge teaching style—including honest, uncomfortable teaching of God’s truth and ubiquitous use of in-your-face video and other imagery—has challenged and changed thousands of lives. His messages are simulcast live to each of the church’s campuses, and his ministry continues to explode. This book stems from a two-message series that he gave; its premise is the bedrock for all teaching and ministry at LifeChurch.tv. Grabbing this book, I was ready to be challenged by Greg Grosschel, but I didn't realize how much this book would ask me to seek and live for God on purpose. It's a question and a minuet we all should have daily, but we often seek our own kingdom before we seek His. What I found to love about this book was the fact that I could reflect on so many areas of my own life and engage in personal reaction. I love how Craig also was transparent in many areas of his life. He also talked and walks the reader through five important areas of life which include people, Health, God, Work and finances. This book is great for new believers and small groups. I give this book 4/5 stars. A favorable review was not required. Thank you to the publisher for providing a copy.